Suri Cruise and a friend looked very stylish after school in NYC on January 29th 2014.
outfit info: Grey Faux Fur Coat by Monnalisa and Black Suede Riding Boots FW14 by GAP. January 2014: Suri is very exited about snow! 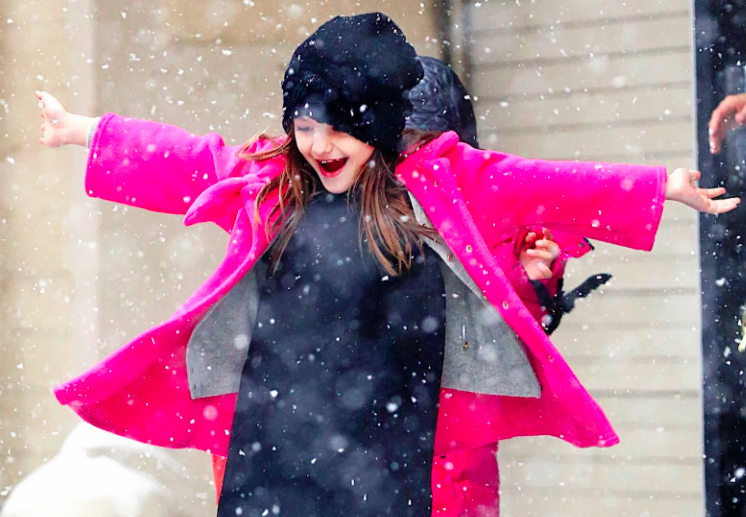 Suri Cruise is very exited about snowfall after school in NYC on Tuesday, January 21st 2014.
and a NEW pair of shoes - Leandra Disco Ball Shoes FW13 by Jessica Simpson. 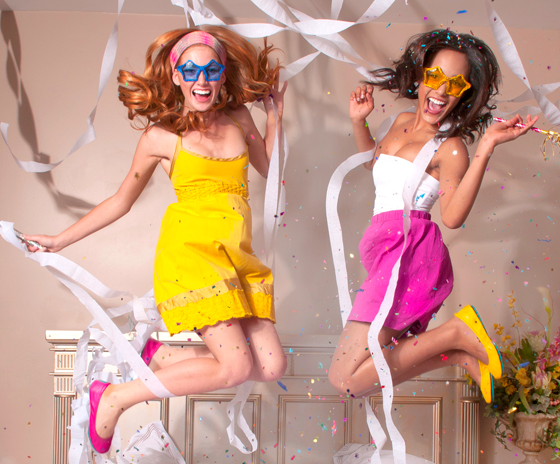 Tieks by Gavrieli GIVEAWAY - enter here! 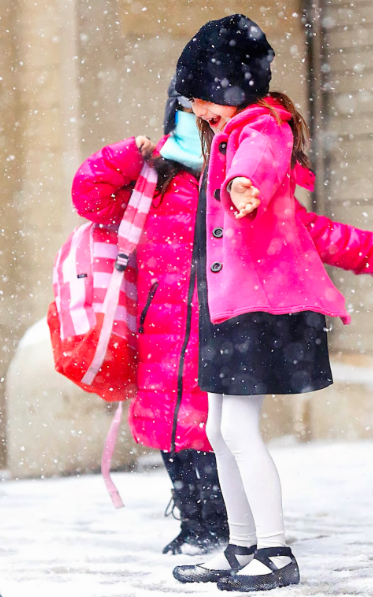 Cheerful Suri Cruise was a seen exiting The Avenues School in NYC on January 15th 2014. WOW! 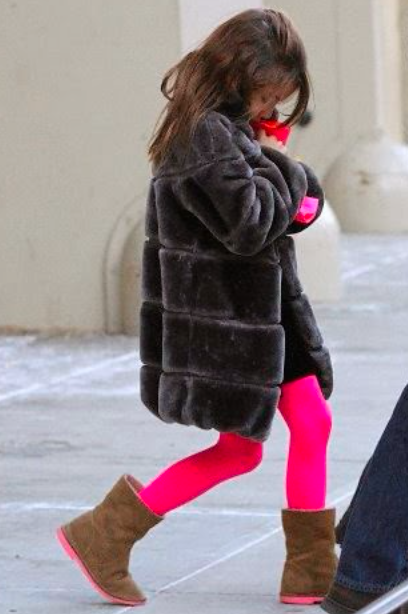 Suri has debuted a THIRD Monnalisa coat in a row!!! She was wearing Fuchsia Double Collar Puffer Coat FW13 by Monnalisa. 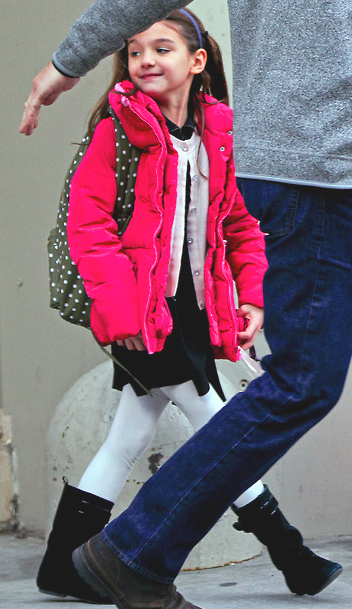 Suri Cruise pictured exiting school building in NYC on Monday, January 13th 2014. Suri is wearing a new White Quilted Puffer Coat by Monnalisa. outfit info: Embroidered Dress FW'12 by Crewcuts (first seen on January 30th 2013) and Black Suede Riding Boots FW13 by GAP. Winter break is over and Suri Cruise is back-to-school in NYC, seen exiting The Avenues School on January 10th 2014. Suri Cruise is wearing a new Grey Faux Fur Coat by Monnalisa. outfit info: Contrast Sole Brown/Pink Boots FW'12 by Crewcuts (first seen on September 29th 2012). 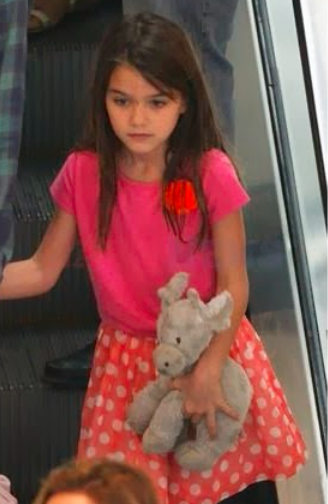 Suri Cruise went to see a movie in Miami, FL on January 4th 2014. Suri was wearing Pink Princess Belle Hoodie by Disney, Embellished LS Tee in Grape by Justice, Gold Button Leather Slipper Shoes by Rachel Riley. Suri Cruise and Katie went shopping in the evening in Miami, FL on January 2nd 2013.
outfit: Pink Mix Stripe Dress SS'12 by Splendid Littles, (first seen on September 29th 2012) and Liberty Print Ballet Flats SS'13 by Crewcuts. 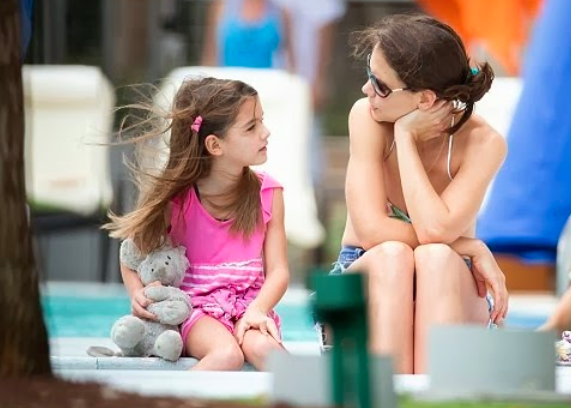 Suri Cruise and Karie enjoyed a chat by the pool in Miami, FL on January 1st 2013. 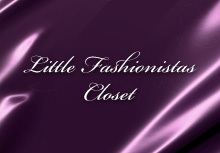 Suri was wearing Pink Mix Stripe Dress SS12 by Splendid Littles, first seen on September 29th 2012. 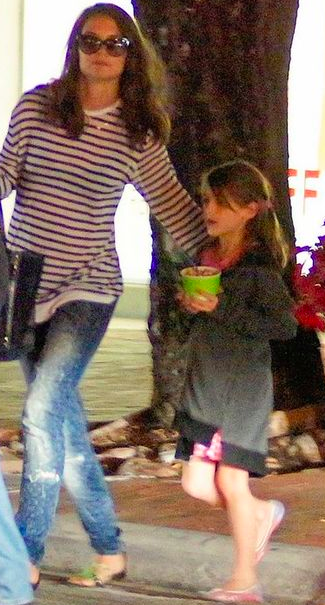 Suri Cruise and Katie went shopping in Miami, FL on December 31st 2013. 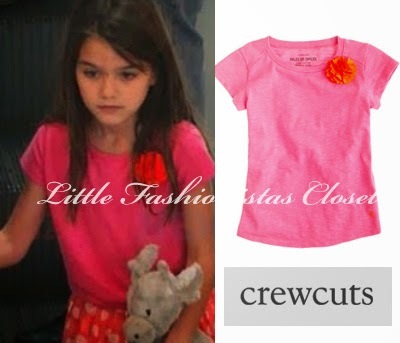 Suri was wearing Pink Carnation Flower Tee SS13 and Dot Skirt, both by Crewcuts. 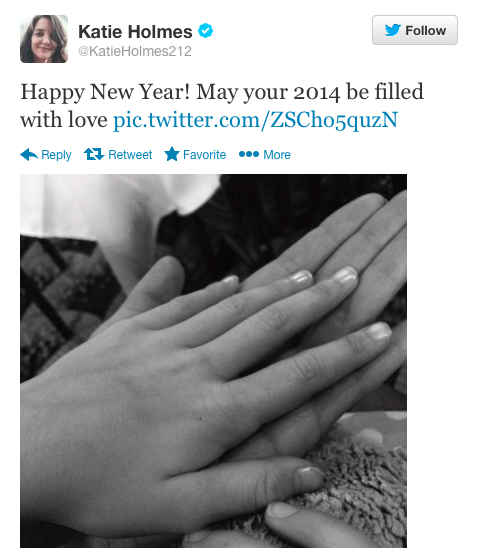 January 2014: Happy New Year from Suri!! !